Italian Delights – Julius reflects on a few of his favorite finds upon his most recent trip to Italy. I’ve long said that the food comes first in Italy, then the wine. However, if you really want to know what comes first in my heart, it’s family, food and then wine of course. I am often asked about my experience growing up in Italy. I have so many memories I often don’t know where to begin. 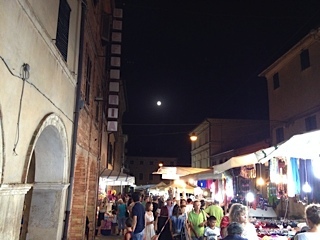 After visiting Italy for several weeks this summer with my family, we discovered pleasures from the past and some new Italian delights that I’d love to share with you. 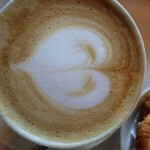 First up of our favs, Hotel Giardino in San Lorenzo in Campo (where the farm is). We visit this fine hotel not for the accommodations, but for the FOOD. 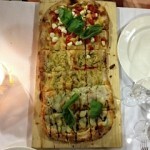 Their new addition to the menu is pizza and it was one of best we have ever enjoyed in Italy. Believe it or not, they require a day’s notice to prepare the dough, so it’s a MUST to make reservations in advance. The chef buys special flour from the local area, which gives the dough a light, crunchy, but still a little chewy effect; which we find perfect for pizza! One of our favorite surprises was the “amuse bouche” served of their own cured meat and pickled veggies, then on to some local cured meats and cheeses; tons of grilled fresh veggies. We especially loved the roasted potatoes. Room for dessert? 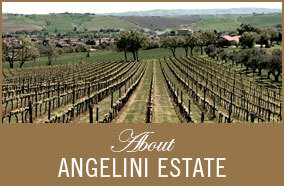 In the Angelini family, always! Hotel Giardino is also known for some of the best gelato in town – even some of the local “bars” advertise that they have Giardino’s gelato. We enjoy the poolside dining; it’s casual and perfect for families. 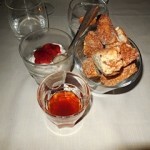 If you are looking something more upscale, they have an elegant restaurant inside where we have had phenomenal meals. Family run by Massimo, Pat, and their son Paolo, you are quickly made to feel at home as they love to share their stories of how they discover their most special choices in ingredients. Want to cook for yourself? It’s such a pleasure to run into old friends, and my grammar school friend, Gianni Fontana has produced an award winning oven to bring the tastes of Italy to your own home. 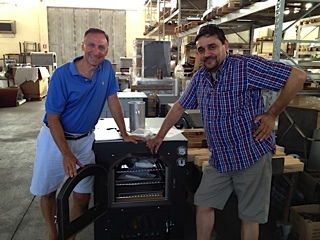 Fontana Forni Ovens in San Lorenzo in Campo is also a family business. By mom’s request, Gianni created this masterpiece oven when his mom asked him to make a specialty oven (like a very hot pizza oven) that she could use inside the comfort of her own home. It took him a few months to design and construct it, and then he brought in his uncle to help him with sales. These fantastic ovens are now sold in the United States as well as other countries. 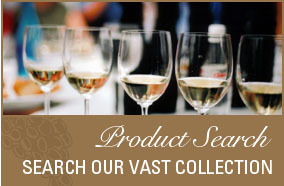 In the US, you can find Fontana Forni Ovens at Williams Sonoma and Costco and through other retailers. 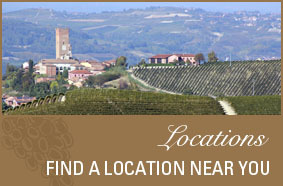 Gianni still lives in town with his family near his mom and his uncle – right at the end of the hill from the farm. 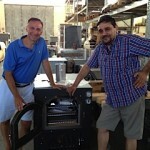 Whenever I visit Italy, I like to stop in to see at least one or two of the producers that we work with. 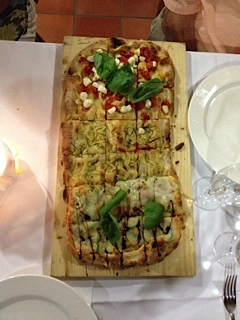 This time, we had the pleasure of visiting Palagetto Agriturismo. It was such a treat to stay for an evening and enjoy dinner before we headed home. 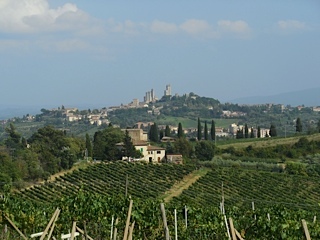 San Gimignano is stunning! The pasta was fantastic. Our son, Ethan, enjoyed eating pappardelle with wild boar – he loved it! (We didn’t tell him it was boar until he was finished). The farm has a small outdoor restaurant and the kitchen is about 5′ by 12′ where they make everything. Apparently building restrictions wouldn’t allow them to enlarge the kitchen and it’s quite amazing what tempting dishes are created there! 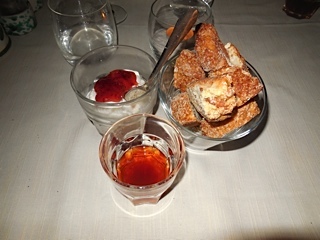 Vinsanto with biscotti was our treat for that day. 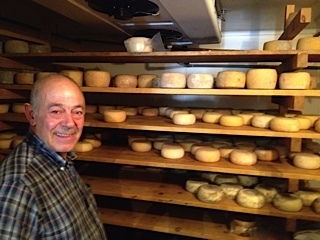 We stumbled upon a new Pecorino cheese maker. In all the years we have been travelling here and scouring for cheeses, we had never found a pecorino like this one. He is located a short distance, about 20 minutes from town up into a more rural area. 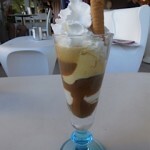 Affogato – This is my wife’s most favorite dessert indulgence when visiting Italy. 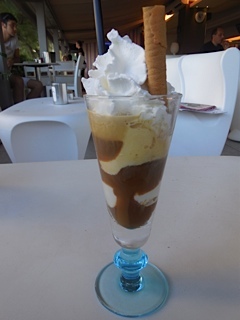 You can find it in the states, however nothing compares to the vanilla gelato with espresso coffee, chocolate that hardens on the gelato and whipped cream – amazing! 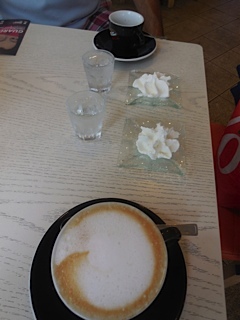 Unique serving – While visiting the beach, we stopped for an espresso and cappuccino. 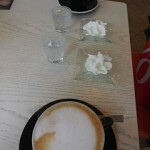 To our pleasant surprise, it was served with whipped cream on the side and sparkling water to drink either before or after – a really pretty presentation. 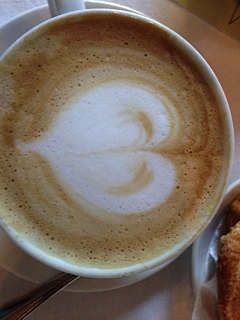 Heart shape – It’s a classic, but always fun to share a pretty espresso. Outdoor markets – like home, but bigger and better. 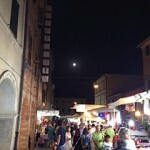 This once a year outdoor market arrives every summer and runs from morning until midnight. They sell everything, truly everything from clothes, bags, shoes, pets (dogs, cats, turtles) to food, hardware, home wares, etc. It’s a pretty neat experience. I hope that anyone who has ever wanted to travel to Italy someday will get the experience. In the meantime, I am happy to share my favorite finds as I travel back and forth from the US to Italy to discover fine wines to share here in the United States with you.